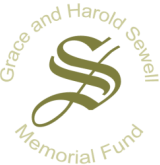 Grace and Harold Sewell Memorial Fund in 2001. Schoch, Natalie A. and Sewell, Winifred. The many faces of natural language searching. JAMIA Symp Suppl SCAMC Proc 1995:914. Sewell, Winifred. Overview of end user searching in the health sciences: an opinion paper. Med Ref Serv Q 1986;5 (Suppl 2):3-14. The separately published mono­graphic supplement is entitled End User Searching in the Health Sciences, and is edited by M. Sandra Wood, Ellen Brassil Horak, and Bonnie Snow. Sewell, Winifred; Teitelbaum, Sandra. Observation of end- user on­line searching behavior over eleven years. J Am Soc Inf Sci 1986 Jul;37(4):234-45. Sewell, Winifred; Teitelbaum, Sandra. Micromanual for Casual Users of National Library of Medicine Databases. 1st ed. Bethes­da, MD: Drug Intelligence Publications, 1984 Sep. Updated 1986. Sewell, Winifred. Guide to Drug Information. Hamilton, IL: Drug Intelligence Publications, 1976. Sewell, Winifred; Harrison, Merle. Using MeSH for Effective Searching: A Programmed Guide. Bethesda, MD: National Library of Medicine, 1976. Sewell, Winifred. Reader in Medical Librarianship. Washington, DC: NCR Microcard Editions, 1973. Drug Literature. Report prepared for the study of "Interagency Coordination in Drug Research and Regulation" of the Senate Committee on Government Operations. Washington, DC: 1963 Aug.
Medical Subject Headings, 2nd ed., Part 2 of Vol. 4, No. 1, Index Medicus, 1963 Jan.